Josh and Lily are walking home from school with Mum. 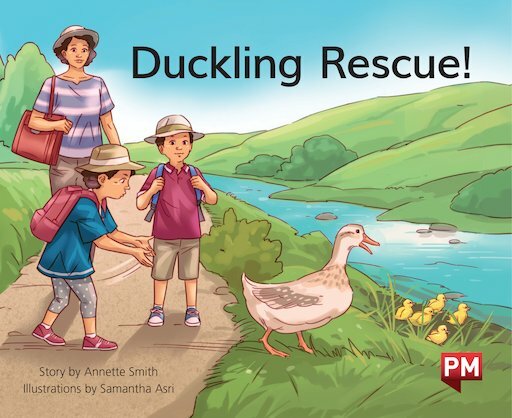 They walk along a path by the river when they spot some ducklings that need help getting back to their mother. Green level titles introduce introduces more compound words, some longer sentences often with two clauses and different writing structures such as rhymes, diagrams, fables and verse. PM Storybooks cover levels 3-24, with each meticulously levelled book featuring a classic story structure complete with tension, climax and resolution. The stories deal with concepts and experiences that young children can relate to.